The indicator defines Harami patterns and features alerts, emails and push notifications. 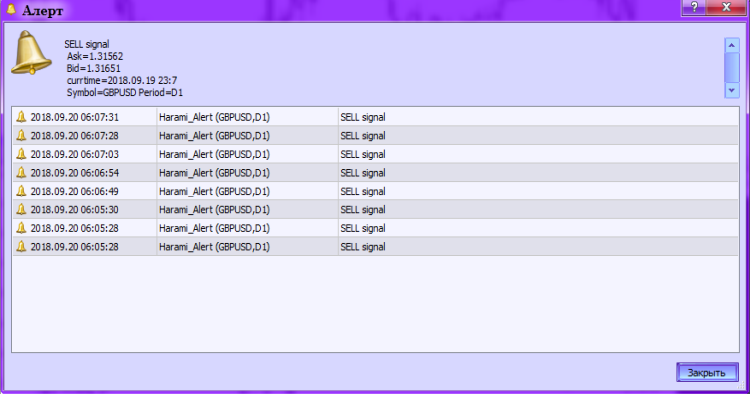 Where BuyBuffer and SellBuffer are the names of the indicator buffers for storing the buy and sell signals. As the empty values in the indicator buffers, either zeros, or EMPTY_VALUE should be set. 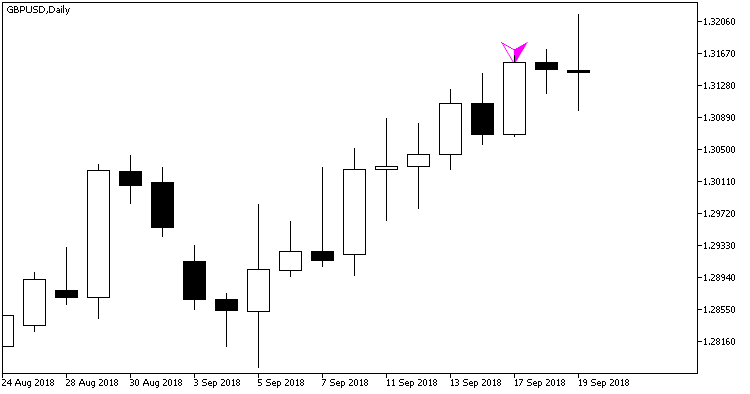 It is assumed that the only one call to the BuySignal() and SellSignal() functions will be used in the OnCalculate() block of the indicator code. Originally this indicator has been written in MQL4 and was first published in the Code Base on 14.06.2016.